Complex Rooms is a recent addition to the growing escape room scene in Waterloo, Ontario. The facility is easy to spot upon approach, though their current signage may confuse you if you’re looking specifically for their logo. With plans to alter the black, white and green banner to match their unique blue and yellow branding, it’ll make this location that much more recognizable. The building offers two areas for seating with a small selection of games to keep groups occupied while they wait, though waiting space may become a premium once more of their rooms open and more groups are visiting at the same time. 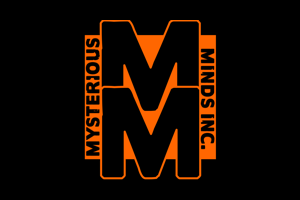 The staff are welcoming and friendly, and very excited to talk about their company and personal interest in escape rooms, and these conversations always start off our visits on a positive note! The first thing that we all noticed upon entering the room was how authentic it looked. The room definitely delivers the intended setting, as we all felt like we had walked in to a small heritage exhibit. The set combines high quality construction and aesthetics, with every piece of the room integrating nearly flawlessly into the theme. Upon reflection, we couldn’t think of a single thing in the room that seemed out of place, which is rare. Another point to note is that there are a lot of boxes in this room, and while this usually detracts from many rooms, the reason for having so many boxes fits seamlessly with the setting and story of the room. Plus, the boxes themselves (the type of boxes they chose) fit in with the setting as well. In our experience, a lot of our enjoyment of immersion comes from the development of story, and how well the room and puzzles align with the story. Legends of Canada was a bit of a different experience, as it is first and foremost a puzzle room. From Complex Rooms: “In this puzzle room, the door is not locked and your objective is NOT to escape. Instead, you and your teammates are challenged to follow the clues and find the hidden treasure.” With that said, the immersion that we felt in this room was quite strong. We were delivered the story (and reason for us being there) before commencing the room, and while the entirety of the story is delivered upfront, the integration of the set design and puzzles maintain the story; not once did we feel like the fourth wall was been broken. Kudos to Complex Rooms for their attention to detail, and for their FANTASTIC integration of their hint system into the theme and design of their room. For such a small room, there were a ton of puzzles on offer, which makes sense, understanding that Legends of Canada is a self-proclaimed puzzle room. Complex Rooms has done a great job at unpacking their puzzles, both physically and sequentially, as we never felt crowded by boxes nor the pieces of each puzzle. The puzzles were all thematic and inclusive, which limited the amount of times we were standing around waiting for someone to finish something… come to think of it, I personally only felt that with the entry of the final puzzle’s solution. However, there wasn’t much in the way of team building, and a very sharp and capable individual could probably complete the room on their own. This may be a nice change (or preference) for some who focus on the puzzles of a room over the theme or set design, like me. The bonus of this room is that the set design and theme are of high quality as well. Not only is this room fun, it is authentically Canadian! The Complex Rooms team has done a fantastic job incorporating Canadian history into the design of their room and puzzles in a way that is accessible to anyone who visits. This experience is engaging, entertaining, and exciting, and more likely than not, you’ll walk away having learned something about Canada that you didn’t know before. I highly recommend adding this room to your “to-do” list, and suggest you brush up on some Canadiana.